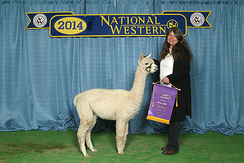 Barnabus now has 7 “Get of Sire” wins including a win at the ’09 GWAS show, the largest alpaca show in the US – 22 entries! He took his his 3rd Get blue ribbon at the ’09 Great Western Show with 3 perfect juveniles, Xanadu P. Cachet, Xanadu P. Mistral and Xanadu P. Encanto. The little “cookie cutter” trio went on to win “Breeder’s Best as well. 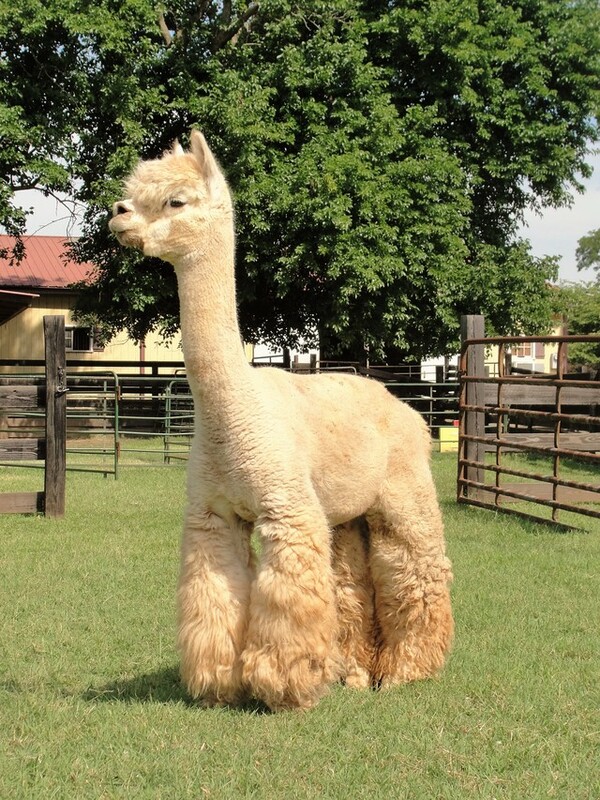 A full Peruvian, Billie is an outstanding female sired by Multiple Get of Sire winner and Champion Maple Brook Barnabus. She has her sire's trademark fineness and uniformity combined with her dam's powerhouse genetics of Bueno and Hemingway. 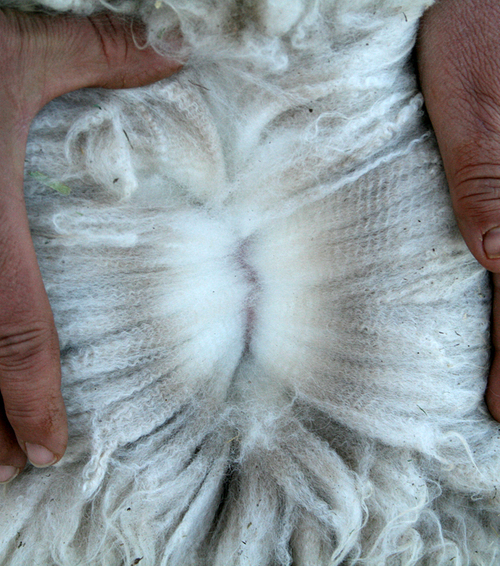 Her fleece is dense, bright and has a wonderful crimp. Billie's first cria, Mountain Sky's I Am The One, has drop-dead gorgeous fleece. 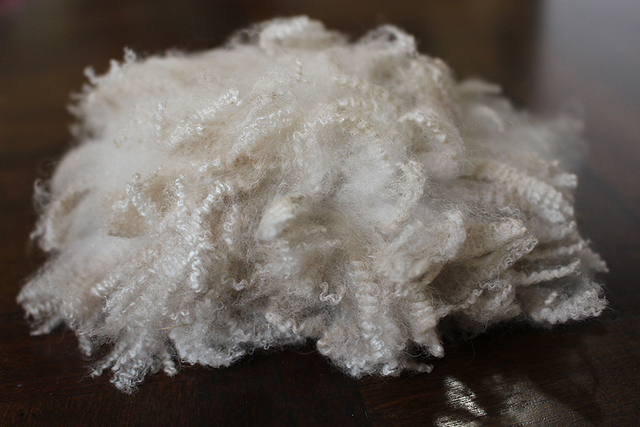 I Am The One's fleece caught the eye of the sorters at the 2018 fiber collection for its fineness, brightness, and density. 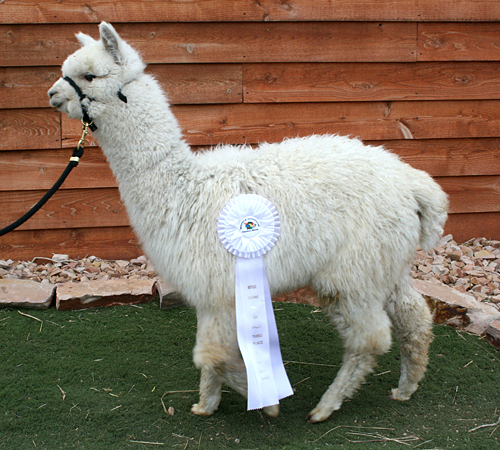 This female has proven she can produce what you need in the show ring. Bille is confirmed bred to none other than Snowmass Matrix. If her first cria is any indication of what she can produce, you don't want to miss the opportunity to own this Matrix offspring. 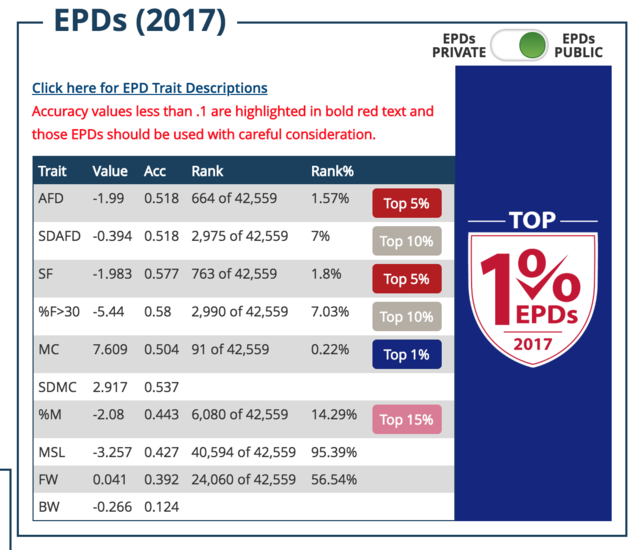 Billie is currently in the top 1% EPD for mean curvature and 2% EPD for AFD and spin fineness. She is in the top 10% for SDAFD and %F>30. Finally, she is in the top 15% for %Medullation.